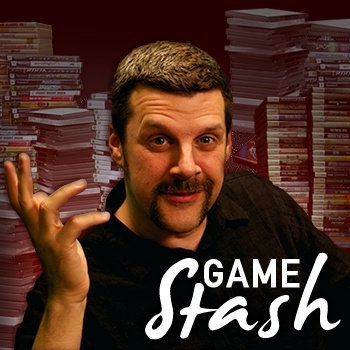 Hello and welcome to the inaugural edition of The Game Stash. I've been at The Escapist for a full four weeks now, and it's high time I kicked things off by dealing with a topic that has been bothering me for a long time - genres. Apparently, I'm not the only one who's bothered by them; at E3 earlier this month, I found myself at a party with several other industry folks discussing the ways we let mechanical considerations overtake the underlying fiction of a game as the primary topic of discussion. We've come to focus too much on the methods of interaction or presentation and not nearly enough on the stories that our games are trying to tell. The Escapist's editorial approach encourages an experiential view of games, which suggests that game design is there to support the fiction of the game rather than the other way around. Ultimately, games are about more than the mechanical systems we're interacting with, but too often we see shooters or racing games where the context for the game is obviously only there to provide the barest justification for the game design. Even worse, it forces us to put games like The Simpsons Hit and Run in the same category as Gran Turismo, or place exaggerated sci-fi shooters like Halo alongside more realistic modern titles like Operation Flashpoint, purely on the basis that they share some common interactions while largely ignoring their tremendous differences in context. Our problem is that we use the term "genre" to define gameplay styles, but that's not the way the term is used or understood in other forms of media. For years, whenever I've told non-gamers that I'm in to wargames, they immediately ask, "Oh, you mean like Call of Duty?" At this point, I would just walk away in disgust, despairing of ever bridging the gap in understanding. But the reaction isn't that hard to understand. When gamers talk about wargames, they're describing a common set of mechanics and styles of presentation. Non-gamers think that wargames are "games about war," regardless of how they're played. It aggravates me, but you can't blame non-gamers for the confusion, because other forms of media are defined almost exclusively by subject rather than the method of presentation. Hence you have romantic comedies, political thrillers, westerns, and so on, which are much more useful associations for choosing books, movies or plays appropriate to your tastes. There are exceptions to this, of course; there's a "Biography" section in the bookstore, for example, and separate pages for "Musicals" and "Animation" on Netflix. But I'd argue that even there, the subject matter is more meaningful that the superficial form. I like animation, but I'm drawn to an animated show because of Batman or Brendan Small or Brock Sampson, not because of the animation itself, which just happens to be the vehicle for the content. In other words, I'm watching animation because it happens to be about a subject I like, not liking a subject because it happens to be animated. This latter response is typical of children; if my four-year-old son walks in to the room while I'm watching The Simpsons, he'll be interested simply because the outer form of the show is familiar to him. But I know that the animation is incidental to the meaning; what he really wants is a show like Curious George or Dora, The Explorer and he is too young to distinguish between the superficial form and the substance. At the same time, content and mechanics aren't inseparable. Alex made that point very clear in his recent discussion of world building in tabletop games and I completely agree with him. But I also think it can be carried to a confusing extreme where the rules and the fiction of the game become slaves to one another. This is why we have the silly idea that RPGs have to have elves and RTS games have to have turrets and FPS games have to have M16s. It's true that those components are convenient common responses to the particular needs of each style of game, but once we let them dictate the content, we're letting the tail wag the dog.